ACC President/CEO Dr. Richard Rhodes visits with students from the Hays High School Criminal Justice Club. 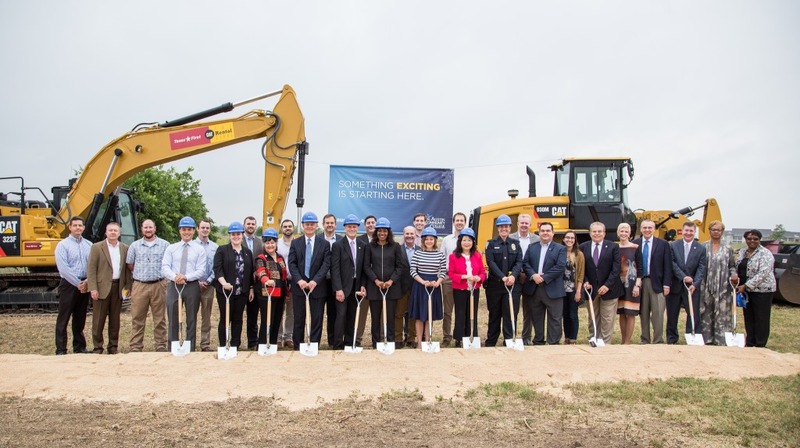 Community leaders, area first responders, and friends joined Austin Community College May 9 for a ceremonial groundbreaking for the Hays Campus phase 2 project. 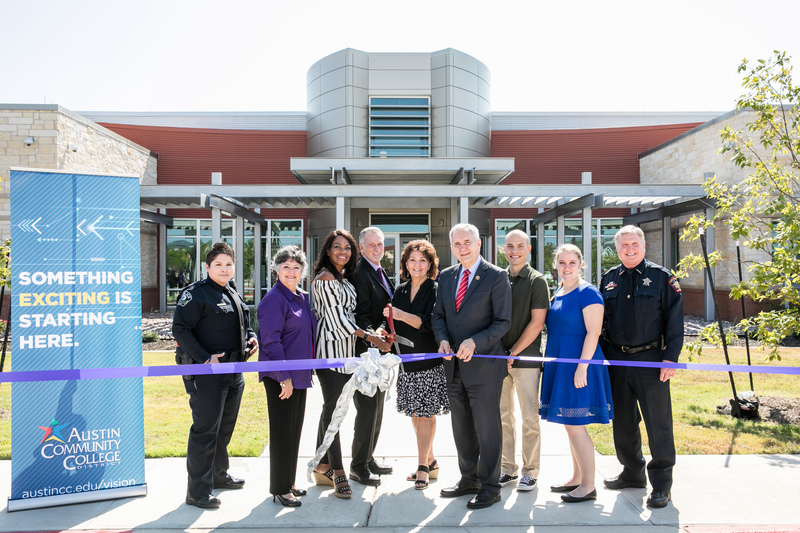 The center will benefit students in ACC’s criminal justice and emergency medical services programs and serve as a resource for local agencies seeking facilities for continuing education and re-certification. 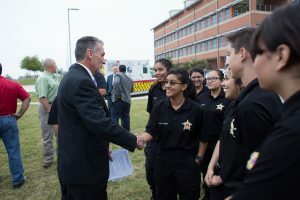 View photos from the event at Groundbreaking celebrates future Hays Campus first responder center. Architectural programming for Hays Campus Phase 2 is complete, and schematic design is underway. Plans for the 38 acres to be developed include an indoor firing range, an emergency vehicle operation course, a simunitions/classroom building, and a swift-water rescue course. Construction on a new parking lot is scheduled to begin July 25 and is expected to be complete by the end of October. 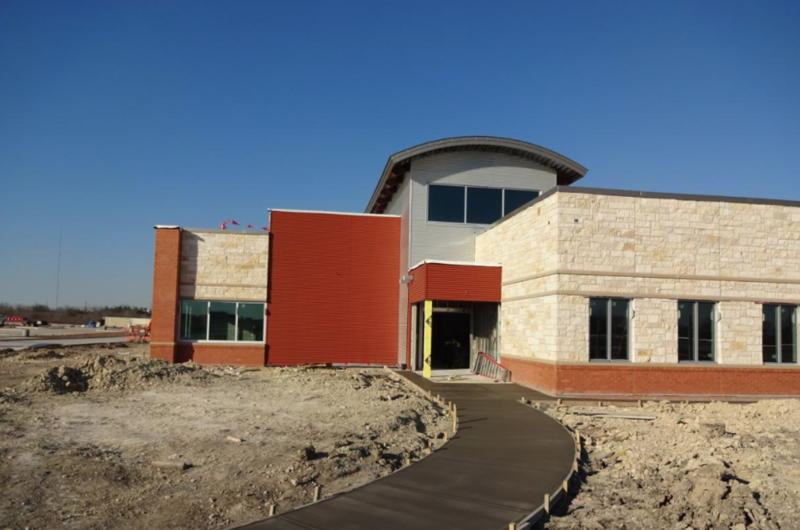 ACC’s Board of Trustees selected JT Vaughn Construction as the construction manager for Hays Campus Phase 2. 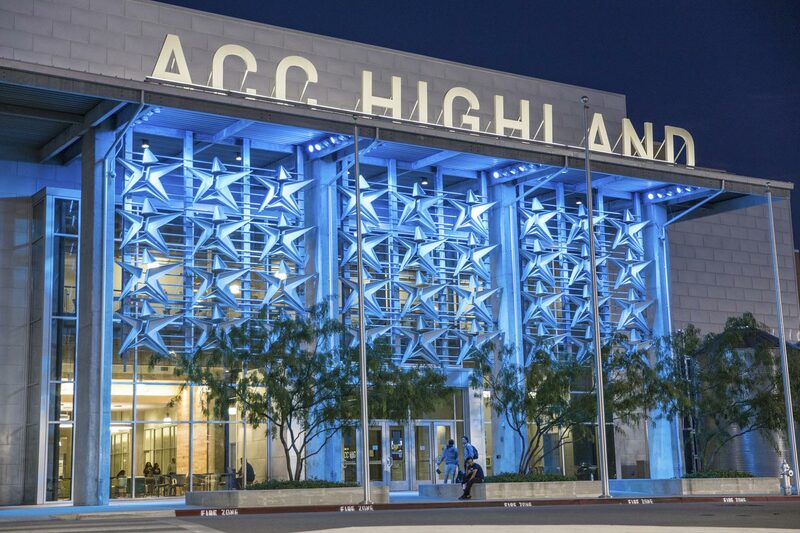 The firm, one of three finalists considered out of the 10 submitted proposals, have completed more than 600 projects at institutions of higher education. 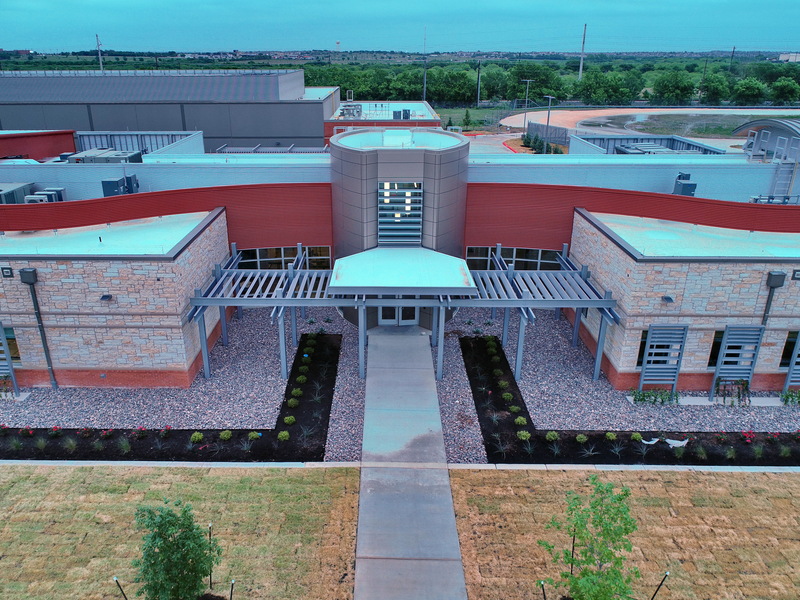 ACC’s Board of Trustees selected Brinkley Sargent Wiginton as the architect/engineering firm for Hays Campus Phase 2. The firm, one of three finalists considered out of the seven submitted proposals, will oversee construction of the campus’s first responders center. The board will next review candidates for the construction manager at-risk for Phase 2. Selection is expected by February. 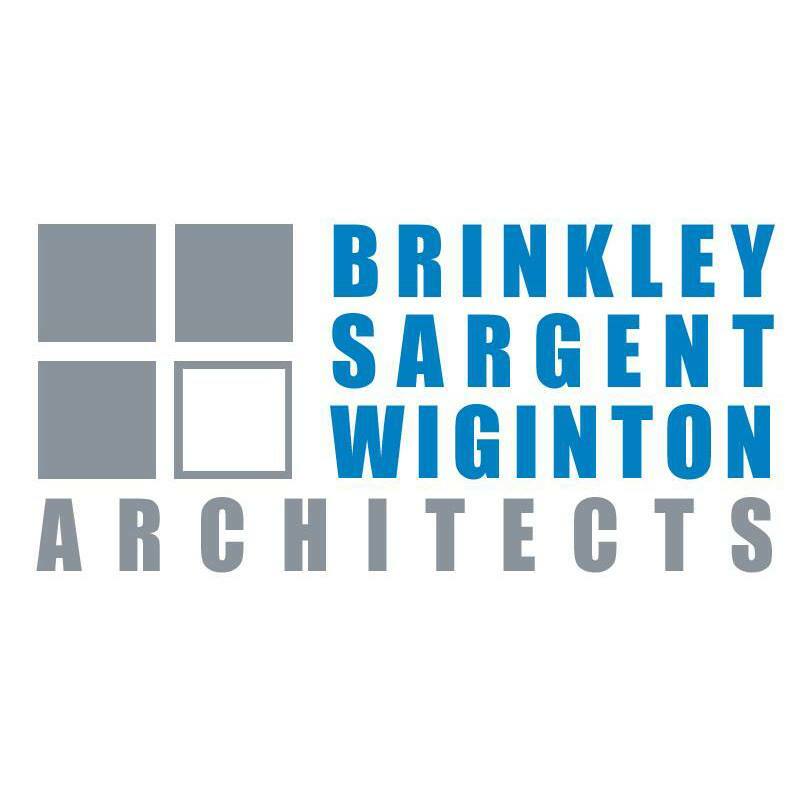 Three architectural/engineering firm finalists —Brinkley Sargent Wiginton, Randall Scott, and Gensler — presented proposals to ACC’s Board of Trustees. Selection is expected in December. ACC has issued a Request for Qualifications (RFQ) to solicit proposals for an architectural/engineering firm for Hays Campus Phase 2. Submissions are due August 13. The finalists are expected to present to the ACC Board of Trustees in November.